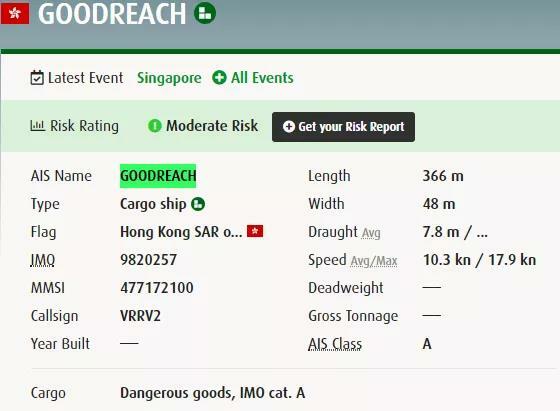 CANREACH(又名HAMOUN) (IMO: 9820271) is a Container Ship registered and sailing under the flag of Hong Kong. 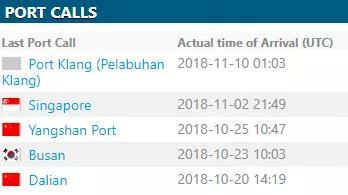 Her gross tonnage is 153000 and deadweight is 147600. HAMOUN was built in 2018. HAMOUN length overall (LOA) is 0 m, beam is 0 m and maximum draught is 0 m. Her container capacity is 14500 TEU. manager ISTANBUL DENIZCILIK VE DENIZ. 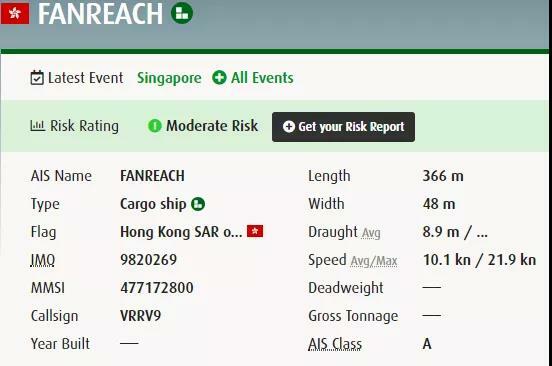 FANREACH(又名BARZIN) (IMO: 9820269) is a Container Ship registered and sailing under the flag of Hong Kong. Her gross tonnage is 153000 and deadweight is 147600. BARZIN was built in 2018. BARZIN length overall (LOA) is 0 m, beam is0 m and maximum draught is 0 m. Her container capacity is 14500 TEU. manager ISTANBUL DENIZCILIK VE DENIZ. 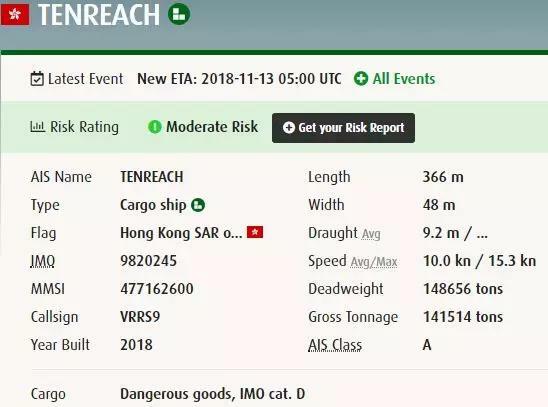 TENREACH(又名RAYEN) (IMO: 9820245) is a Container Ship registered and sailing under the flag of Hong Kong. Her gross tonnage is 141514 and deadweight is 147600. RAYEN was built in 2018 by HYUNDAI HEAVY INDUSTRIES. RAYEN length overall (LOA) is 366 m, beam is 0 m and maximum draught is 16.03 m. Her container capacity is 14500 TEU. manager ISTANBUL DENIZCILIK VE DENI.